If you entrust yourself to Amida Buddha's salvific Power, then you are saying the Name in accordance with its true nature, but if you are saying the Name and think that its efficacy depends on something within yourself, like how often you say it, or how focused you are when you say it, or on the presence of so and so virtue and merit witthin you, then you cannot benefit from all the blessings of the Name. This is why those who say the Name in self power (followers of the 20th Vow) can go only to the border land of the Pure Land. They may usually say - "but we rely on Amida's Name, not on ourselves"; however, the reality is that deep in their minds what they actually do is - "we rely on our capacity to recite as many times as possible". So they actually think, "the more we recite, the better chances we have to be born in the Pure Land". Well, this is exactly what hinders them to entrust completely to the Power of Amida Buddha and be born in the true fulfilled land of the Pure Land (the "center" of the Pure Land) and immediately attain Buddhahood there. Now please, do not imagine that people who say the Name while truly relying on Amida’s Power to save, cannot say it many times! On the contrary, they might say it many times, just like practitioners of self-power Nembutsu. The only difference is that they are not obsessed with numbers! They are not obsessed with having the proper state of mind when saying the Name, too! They do not have the delusion that they can add or contribute with something from themselves to Amida's salvation. They realize all these, while they continue to say the Name! They do not abandon the Name, but on the contrary, they enjoy it with the relaxation given by the fact that they are already saved. They do not need to assure their own salvation in each moment of their life by saying the Name continuously - something like, "I must be sure that I say the Name all the time, so that if I die now I can go to the Pure Land". They do not need to prove to Amida that they are worthy of His salvation because they say His Name all the time. Truly, our salvation is in Amida's hands, not ours. It’s in Amida's Power, inAmida's Name, and not in our own capacity to recite it often or seldom, or in the various things we might think we should develop inside our delusional hearts and minds. So, dear friend, enjoy the Name whenever you like, and whenever you can. The sure sign that you are really enjoying the Name is when you say it without worry of your salvation, that is, after you entrusted yourself to Amida Buddha. This true saying of the Name is the Nembutsu of faith - the Nembutsu of the Primal Vow. Please remember that in the Primal Vow of Amida Buddha the saying of the Name ("say my Name perhaps even ten times") is not mentioned alone, but together with faith ("sincerely entrust to me, say my Name perhaps even ten times"). This is extremely important and it shows what Amida wants from us, that is, to say His Name while completely entrusting ourselves to Him and His Power to save. We cannot run contrary to the Primal Vow and emphasize only the Name while neglecting faith. In truth, the Nembutsu (saying of the Name) cannot be separated from faith and faith cannot be separated from the Nembutsu. Those who are not yet established in faith might say the Name too, and is important that even people without faith to say the Name, but those who have faith will surely say the Nembutsu and their saying will truly be in accord with Amida's instruction from His Primal Vow, "entrust to me, desire to be born in my Land, and say my Name perhaps even ten times..."
To say the Name while entrusting ourselves completely to Amida is the genuine Nembutsu - the Nembutsu Amida wants us to say. 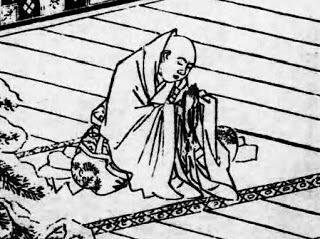 The fact that people without settled faith say the Name exclusively puts them in connection with Amida Buddha, more exactly with His 20th Vow which was especially made for those who say the Name but do not completely rely on Amida's power. See chapter “Birth in the borderland of the Pure Land” from this book.